I Don't Aspire To Be A Minister - Kofi Jumah. 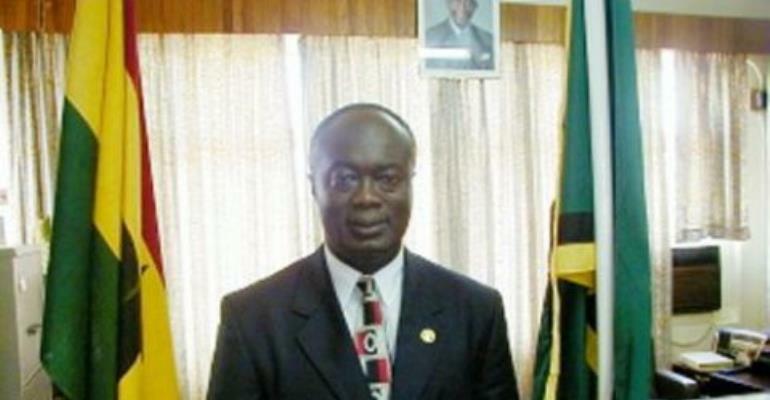 The member of parliament for Asokwa, Mr Kofi "GhanaBa" Jumah, has dismissed claims that he is lobbying for a ministerial position adding that "I do not aspire to become a minister of state for NOW". According to him, his immediate plan is to serve his constituents. Hon. Maxwell Kofi Jumah called for more support for parliament to enable members give off their best to enhance the development of the country describing the current state of affairs as a disgrace to the country. According to him, logistics and other support needs to be made available to parliamentarians to better their research work. Speaking on Action point on Kapital Radio in Kumasi this morning, Mr. Jumah regretted the lack of offices and poor library facilities at parliament House adding it does not befit the status of Ghana. Hon. Jumah who said he was taking his time to adjust to parliamentary business promised to advocate more on local government, health and proper financial regulatory laws.He advised the next KMA boss to strive to continue from where he left off and promised to tackle the problems of Asokwa in his term as the MP for the area.